Old-world pots, similar in shape to the base of this lamp, were used throughout the ancient world, crafted by artists who still use techniques just like the originals. 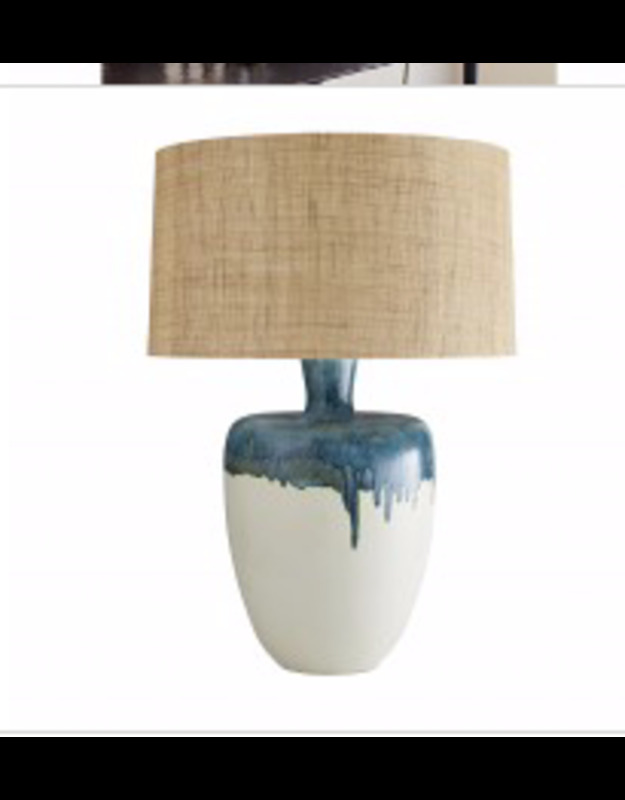 Molded from porcelain, this modern version has a partial drip glaze in rich blue hues, with the raw ivory porcelain below. 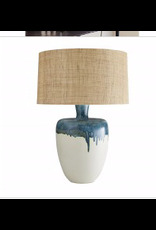 Topped with a linen and raw hemp drum shade with cotton lining and acrylic ball finial. Glaze finish may vary.